The electrification of the domestic environment is a pivotal technological change that took place during the modern age. 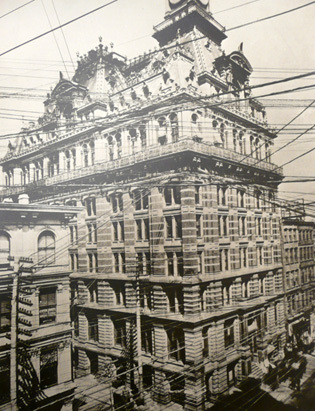 Since 1880, in North America, networks of electric power and instant communication defined a new technological landscape through the settlement of a continuous grid of infrastructures, reshaped the layout of existing cities collapsing perception of distance and speed, and finally dramatically transformed family private habits extending private interior spaces to global scales of communication. The development of the telecommunications at the beginning of the twentieth century, allowed the expansion of the public sphere and services in order to create a broader access to commodities as well as information, and further a more democratic ideal in the field of city-planning. How these technologies of sound transmission impacted the habits of American dwellers? Which social and cultural discourses accompanied the introduction of these modern systems? The lecture “Plugging the Modern Home” focuses on the way networks of telecommunication contributed to redefine the common imagery of the modern American home and everyday life by comparing corporative material culture with visions by modernist architects or artistic representations.